Peace in The Hague Peace Projects is all about living in a state where there the absence of war both at home where our community comes from. This is their countries of origin and abroad where individuals from our community conflict analyzing work-groups ( Syria, Bangladesh, Kurdistan, Turkey, Sudan, Somalia, The Democratic Republic of the Congo – DRC, Rwanda, Uganda and Burundi; have chosen to settle after coming from places of instability where their political, social, economic situations have been destroyed at a large scale. This lack of peace breeds, violence, conflict, inequality that keep a community and its countrymen at a state of no harmony. In other instances we talk about peace by having conflict within a country and its countrymen, finding a level of tolerance to hear one another, this brings in dialogue. By having dialogue we not only start the discussion of ‘what peace means’ for the communities we engage with but it opens the dynamics of which ought to be considered when talking about ‘peace’. How does HPP achieve Peace? 1. A ‘horizontal’ dimension: contributing to building strong civil societies in areas of conflict, capable of creating a long-term, lasting democratic future. Through dialogue, education, cultural events and media, we build trust between communities in conflict. Focusing in particular on young adults, we inform, train, connect and empower civil society to work together on nonviolent social and political transformation. 2. A ‘vertical’ dimension: complementing top-down political peace processes by bringing civil society to the negotiation table. After establishing a clear analysis of the root causes of conflict through research, we develop advocacy strategies to actively include civil society in political peace processes. The aim is to have civil society visibly present, and capable of setting the agenda and pushing for negotiation outcomes that are sustainable, democratic and beneficial for society at large. Non-Violence: Peace can never be achieved by violent means. Inclusion: Peace can only be achieved if the voice and interest of every group in society - however small they may be - are heard and taken into account. Transparency: Secrecy is the enemy of democracy. Information is power: providing as many people as possible of real information will always help democracy and peace. Human Dignity: Every human life is immeasurably valuable. Everyone needs to be treated equally and with respect for their humanity and uniqueness. Human Rights: The international human rights framework established since 1948 provides the ultimate guiding stone for the unalienable rights of every human being. Serve as a “think tank” of peace building and a professional resource of information of carefully selected international issues. Contribute to the development of an appropriate framework for peace building. Work towards a society characterized by social justice and human rights. Give a voice to the victims of war and oppression. Involve diaspora from conflict areas at the core of the organization. What do we mean by 'diaspora'? When we talk about the ‘diaspora’, we mean the community living in Europe, away from their mother countries. 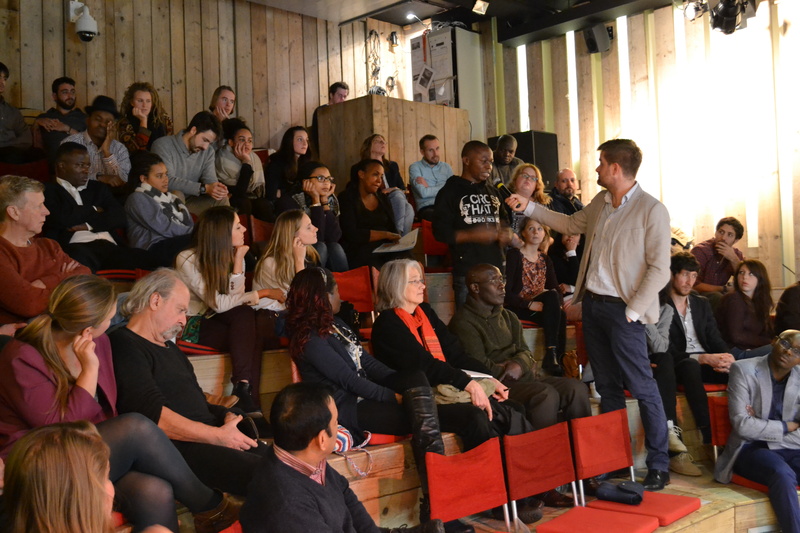 This term is used repeatedly within our organization here in the Netherlands to give context to the diverse groups we cater to at The Hague Peace Projects. We also acknowledge that we have the diaspora communities which in essence fled from their countries due to political unrests and as a result got scattered in places they now call home, mainly from Sudan, Somalia, Bangladesh, Turkey, Kurdistan and Syria. Secondly we also do have a special group whom we engage called the ‘African diaspora’ these are groups of Africans that contribute in all sorts of ways to their countries of origin. Their contribution is immense and its composed of political, financial, education, knowledge and growth on many levels. A keen example of such a group in our organization is the African communities most specifically The Great Lakes Region (GLR) group being: Uganda, Rwanda, Burundi and The Democratic Republic of The Congo (DRC). How many etnicities are involved in HPP? There are over forty ethnicities represented here at The Hague Peace Projects. These ethnic groups are characterized by a similar way of life; transcending dialect, common ancestry and beliefs. All these diverse groups of people and the culture they exhibit helps in tackling positively to dialogue and conflict problem solving. Do you have a question about our organisation or our work? Please send us your question!